DO YOU WANT EVENT ENTERTAINMENT THAT IS EXCEPTIONAL IN EVERY WAY? Together Agency has been supplying DJ’s to many popular pubs and clubs across the Gold Coast and Brisbane for over 10 years. We provide the musical performance and reliability that both help you maximise your cash flow and also ensure that your patrons have a night to remember. Our Venue DJ's are our most experienced, with multiple weddings, functions and parties behind them they have fine tuned their mixing skills and can cater for any age, mood and genre. Our Team will put the systems in place to ensure our DJ’s follow a format that suits your venue, ensuring a consistent product is delivered to your patrons. We can even assist with event marketing requirements, helping to promote your venue to the community. We work with you to tailor a music program that specifically meets your venues requirements – we play to meet your needs. In a number of venues, Together Agency also plays with, or supports, live entertainment. We listen and work with you to tailor your event and have it meet all of your needs. Our exceptional event specialist DJ's are equally at home getting you and your work colleagues down on the dance-floor, as they are promoting your latest product or MC-ing to thousands of guests. Whether you are planning a gala ball or a office cocktail party we will have the right Entertainer to fit the night! With an extensive range of music to cater for all age groups, tastes and styles, you can be sure that Together Agency have just the right sound for your event. Whether it is a small gathering of 50 or a large crowd of 1000 or more, we have the resources and network of professional suppliers to provide the ideal entertainment service for your next corporate booking. Our service will be delivered in accordance with all pre-event directives to ensure your night is a resounding success. Clients are encouraged to send through any music requests prior to the event, or you could simply let us know the demographic of your group and general style of music required. Our DJ's have the skills to read the room and mix the ideal range of songs to suit any type of corporate event. Our DJ’s are also always all to happy to take requests on the night. Once you have the date locked down, we'll be there to help you lock down the perfect night of entertainment! Here at Together Agency we love to help you create an amazing, one-off experience. We believe that no two weddings should be the same and our goal is to provide our couples with a personalized, stylish, exciting and incredible celebration that they will remember forever. Together Agency provides you with Professional DJ's, Engaging MC's, Superior Lighting Designs, AV and Production options for your ceremony and reception. As one of South East QLD's most trusted wedding entertainment agencies we are dedicated to providing an in depth service with an inviting, fun loving atmosphere. We feel this helps us to ensure your dream wedding reception becomes a reality. By selecting Together Agency you will be working with a dedicated team that has your wedding vision as their sole focus and the experience to make your planning worries a breeze. SASS Management currently has 3 offices Nationally and is growing rapidly, which increased their need for a strong social media campaign. Focusing on their strength of amazing talent, we were able to use this directly through; Instagram, Facebook, Blogger & Business Collaborations, and indirectly; the target on SEO and Advertising Campaigns. 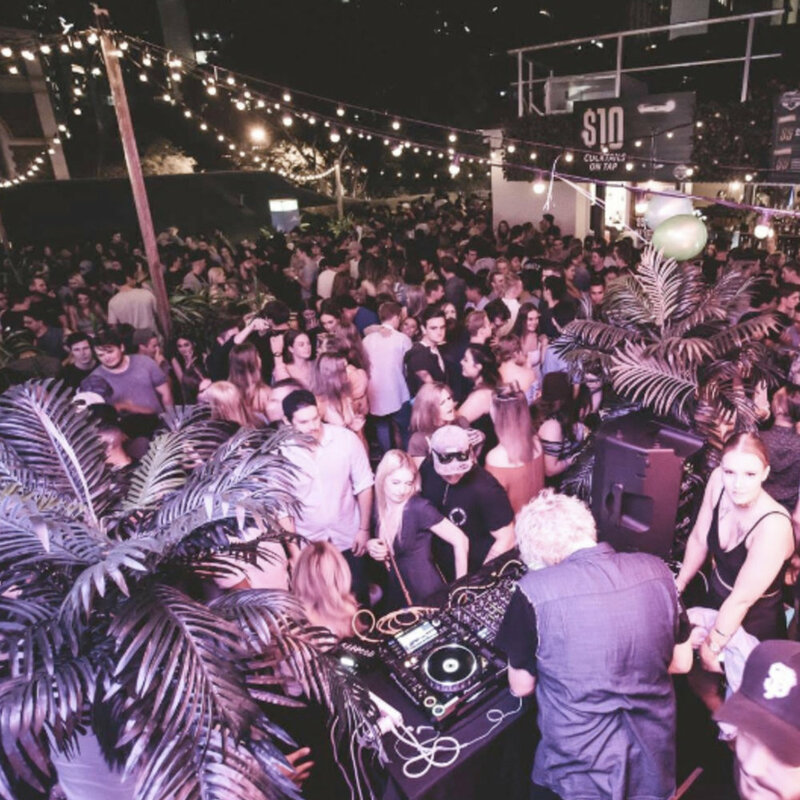 Rattlesnake Motel is a 400PAX venue that runs every Friday, Saturday and Sunday in Coolangatta. Our team provides entertainment, marketing and promotions for this venue, which in turn, creates very strong consistent bar results every weekend. The venue has also seen a massive benefit to venue awareness during the week, due to the amount of people through the doors every weekend improving their corporate and private event bookings. with a concentration on added value offerings such as glamorous cocktail pop up bars, roaming entertainment such as stilt walker’s entertainment, acoustic and national and local DJ artists and food vans offerings compared to general entry.